The easy, everyday way to pay for your favorite Dunkin’ products. The Dunkin' Gift Card makes a great gift or incentive for customers or employees. Dunkin' offers great tasting food and beverages that will keep you running throughout your busy day. Refuel with our legendary coffee, or start your day with a hearty, satisfying breakfast sandwich. There are now more ways to satisfy your appetite than ever before, made to order just the way you like. The reloadable Dunkin' Gift Card is a convenient everyday way to pay for all your Dunkin’ favorites and is accepted at any participating Dunkin' restaurant. 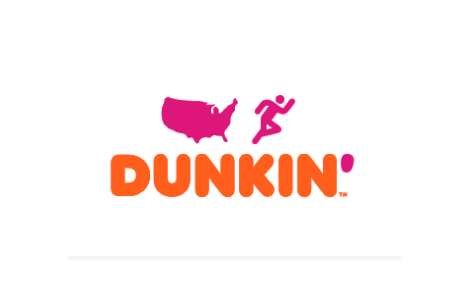 Card good only toward purchase of Dunkin’ products at participating US locations. No expiration date or management fees. The purchase and/or reload of a Dunkin’ Gift Card with another Dunkin’ Gift Card is prohibited. Card value may not be redeemed for cash, check or credit, unless required by law. Use of card constitutes acceptance of these terms. We are not responsible for lost or stolen cards unless registered online. Replacement card for lost or stolen registered cards issued for remaining balance reflected in our records at time reported lost or stolen. This card may not be resold by any unauthorized vendors. Unauthorized resale or attempted resale is grounds for cancellation. Cards obtained through unauthorized channels will be void. Card issued by SVC Service II Inc. Visit DunkinDonuts.com or call 1-800-447-0013 to check the balance on the card or for customer service (please have card number ready). © 2019 DD IP Holder LLC.